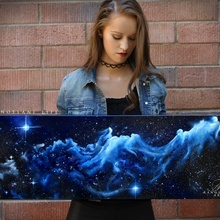 This painting is originally done in water color. 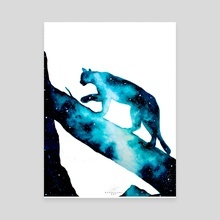 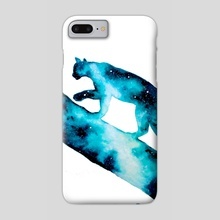 It is a depiction of a Mountain Lion with a double exposure Galaxy Background. 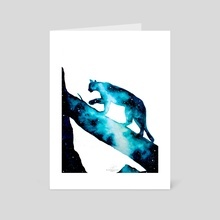 This particular print has a white background but there is also a black background available.